A hilly course. 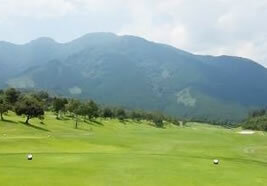 The gentle slopes and river running through the course make for more strategic play. The green on the 12th hole is famous as an impregnable green because it plays optical illusions on golfers. Authentic courses nestled in the heart of nature. 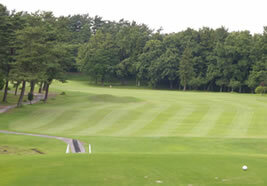 These three courses separated by woods are renowned for their beautiful landscape. 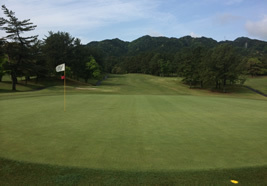 The Naka Course used for tournaments is quite difficult, with long distances, ponds, and valleys.